The third connection between Canyons Resort to/from Park City Mountain Resort will be determined at a later date. 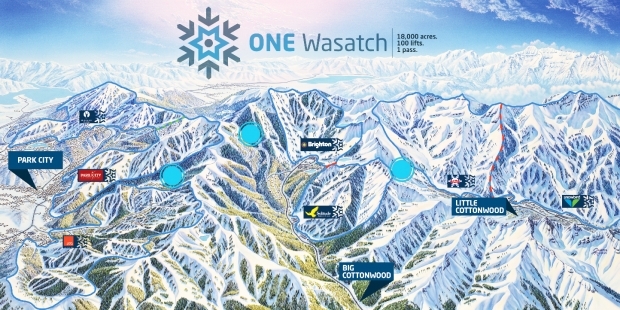 In addition to the release of the map, Ski Utah shared results of a survey they conducted about the ONE Wasatch concept. The survey was sent to more than 35,000 individual online subscribers of their monthly newsletter and snow reports. Since the respondents cover all types of recreationists that follow snow/skiing and riding conditions, we can infer they include both downhill as well as backcountry users. The following summarizes a review of the responses. Of the 35,468 survey requests, 3,009 completed the survey—a response rate of almost 9 percent. A high number—77% of the respondents—have heard of ONE Wasatch. The respondents, by an overwhelming margin, indicated they would use ONE Wasatch once it was completed–71% said they were somewhat or very likely to use it, compared to 25% that said they were somewhat or not very likely to use it (almost 3 to 1 in favor). For more information regarding ONE Wasatch please visit our website at www.ONEWasatch.com. For media information, contact Ski Utah Director of Communications Susie English at 801.433.2016 or by email at [email protected]. Ski Utah is the marketing firm owned and operated by the 15 statewide ski resorts that make up the Utah Ski and Snowboard Association. The organization has been creating brand awareness of and demand for the Utah wintersports product since its inception in 1978. Ski Utah’s primary functions are concentrated in marketing, public policy and public relations. Information about Ski Utah and its members can be found at skiutah.com, on Twitter and Instagram @SkiUtah and on Facebook at www.facebook.com/skiutahyeti. This release and other press information can be found in the online press room at /News/. Click the map below to see a larger image of what is planned. Again, for more information see http://ONEwasatch.com/. 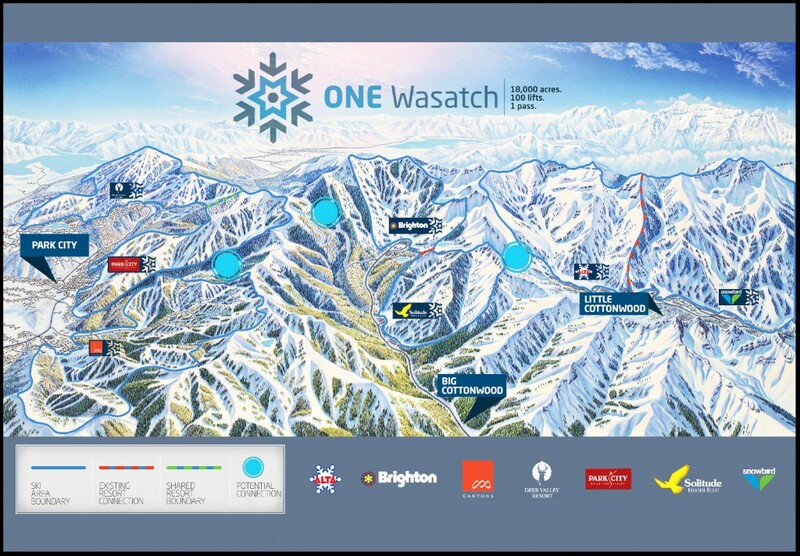 Do remember however, that at this stage ONE Wasatch is still in ‘concept’ form. Let us know what you guys think of Utah Assembled. Will it be ONE Wasatch to rule them all?